Sytec Fuel Pressure Gauge 0 - 15 PSI / 0 - 1 Bar. Low pressure fuel pressure gauge. 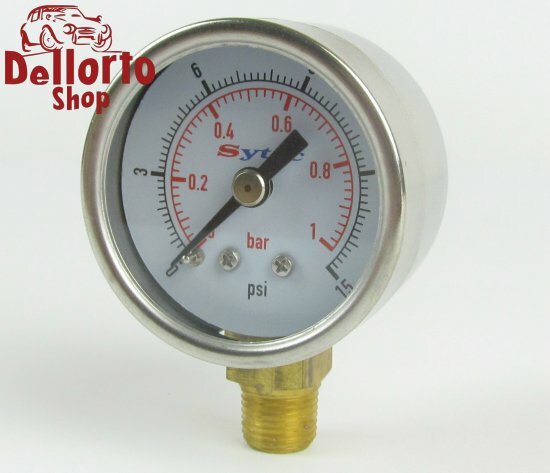 Ideal for setting the pressure on systems with carburettors. Can be used with the 85mm Filter King filter and pressure regulator or our Fuel Pressure Gauge Adapter. This gauge should only be used for setting-up and then be removed for normal running. NOT suited for high-pressure (fuel injected) systems!